With a No Documentation Loan, you can take advantage of investment opportunities as they become available and close in 10 to 14 days. We provide No Document Loans for ** non-owner occupied properties and commercial properties including (but not limited to): single family residence, residential investment, multi-family, apartments, retail spaces, mixed-use buildings, office, warehouse and 6 Month Interest only Bridge loans. 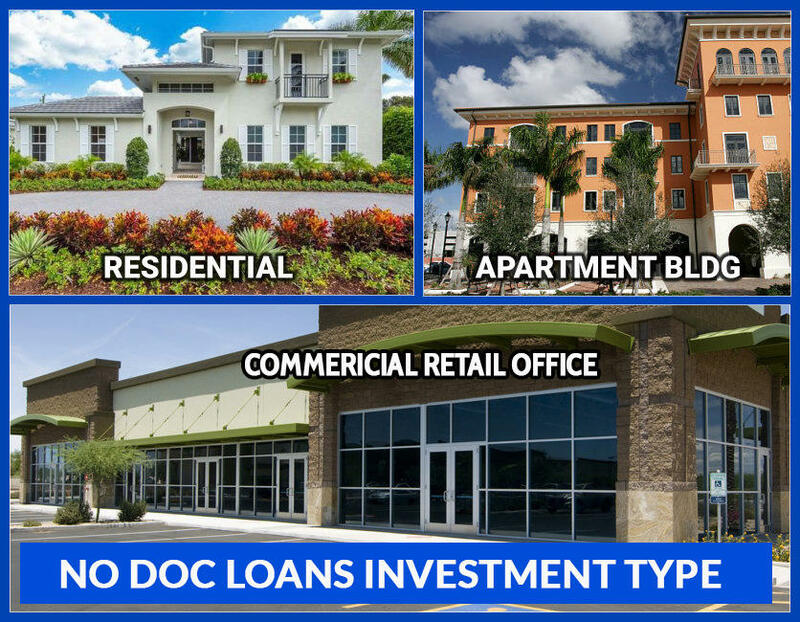 Complete More Investment Projects o With a No Doc Loan, you can buy more properties. Instead of putting all your capital into one property, you can put a small amount into multiple properties. • Increase Your Profits From Your Investments o Use No Doc Loans to generate more profits from multiple properties and grow your business. • Residential Flip Loans o No Doc Loans are perfect for Buy-Fix-Sell projects. Includes funding for rehab costs. • How Does a No Doc Loan work? o No Doc Loans do not rely on the creditworthiness of the borrower. Instead, they look to the value of the property. The lender wants to make sure that if the borrower defaults, there will be sufficient equity in the property over and above the amount of the loan. Click here to complete our loan pre-approval request form. One of our loan specialist will contact you with a rate and term.